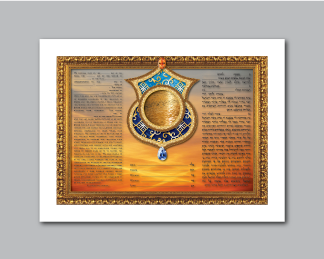 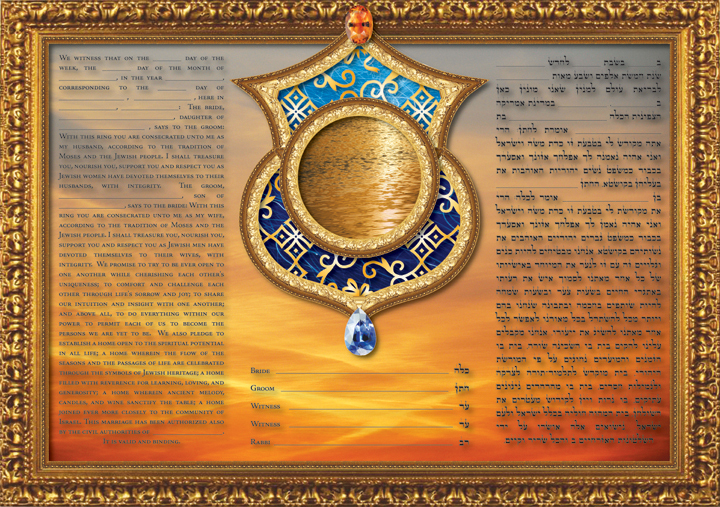 This ketubah captures the magical and resplendent beauty of dusk. 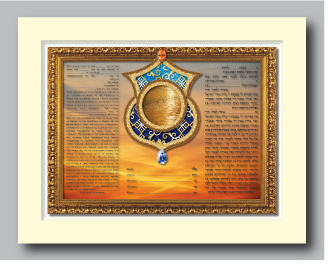 During these golden hours we move from daylight to night, symbolizing the harmony and beauty that can result from the union of opposites. 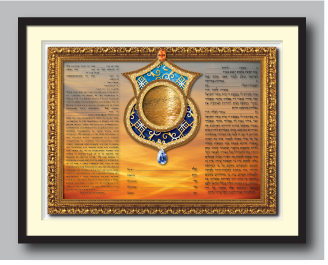 This idea is also reflected in the central medallion which depicts a range of blue hues that frame the heart of the image: a portal that leads us to serene golden waters.